BEIJING: Taiwan has shut down two reactors after a fire broke out at a nuclear power station in southern Taiwan shortly before midnight on Sunday. The incident has caused no radioactive leak and no personnel have needed to be evacuated, Taiwan Power Company (Taipower) said in a statement on its website. The fire began inside an auxiliary electrical transformer at the Third Nuclear Power Plant in Pingtung County, setting off an alarm at 11:58pm, Taipower said. It was put out by the plant's own firefighters within 17 minutes of its occurance, it said. A loud noise was heard at midnight around the plant as the turbine released steam into the sky during the process, Taipower said. Taipower said preliminary investigations suggest that it will take two weeks to get the second reactor operational again. The transformer, which was one of a number of devices supplying electricity to the plant, has been damaged due to short circuit. The accident is expected to affect China's ambitious plans that include launching eight new nuclear power plants this year besides granting approvals for another set of six new plants. The government aims to build capabilities for producing 30,000 megawatts by 2020. Chinese nuclear experts have argued that the country has the best safety standards in place after the government recently lifted the ban on new plants, which was imposed after Japan's Fukushima accident in 2011. Giving details of the accident, Taipower said that another reactor in the affected plant, the No. 1 reactor is unaffected. The second reactor, which has a electricity generating capacity of 951 megawatts, has been in operation since May 1985. Taiwan has three nuclear power plants in operation and another one under construction. There has been much public debate about whether the island should become a nuclear power-free society, particularly in the wake of the Fukushima nuclear crisis. Fort Calhoun, NE -- OPPD declares notification of unusual event at the Fort Calhoun Nuclear Power Station. Perhaps that we can expect incidents at nuclear stations during the 7 of 10 events, i.e. in SE Asia on achievement of a 7/10, in the west and the north of the S America during its roll, during rupture of the New Madrid fault line, in the western Europe during a tsunami? I assume that earthquakes and tsunami can present some problems on nuclear pollution even before the pole shift. Any comments of the Zetas? The issue of whether benign alien assistance will come during disasters, neutralizing nuclear facilities, comes up often, understandably. Those who currently live near nuclear facilities worry constantly about sudden earthquakes or operator neglect, which can cause a meltdown with consequent radiation pollution far and wide. Fukushima is the latest example. As the earthquakes are on the increase, and the 7 of 10 scenarios about to afflict those countries which have utilized nuclear power extensively, this concern will only increase. The answer in these matters, which we have repeatedly explained, is first that the Element of Doubt must be maintained. This is an aspect of the gradual awakening of mankind to the alien presence that ensures that contactees will not be savaged by those in panic, fearing for their lives. In the past, the establishment - MJ12 composed of the CIA, military intelligence, and the very wealthy - withheld information on their preliminary contact with aliens. Where they claimed they were saving the public from panic, this move was self serving as they wanted alien technology for themselves, and also did not want to be knocked from their perch in the eyes of the public. Rather than reassure the public about the alien presence, the old MJ12 deliberately moved to foster fear in the public. Hollywood has been enlisted to produce a stream of movies showing aliens landing to eat people, colonize the Earth, and infect and takeover human bodies and minds. The old MJ12 likewise harassed and monitored contactees, to control the plethora of books and videos being produced by enthusiastic contactees. The Element of Doubt at base is to protect the growing army of contactees, whom the establishment fears. What it their threat? That they challenge the legitimacy of the establishment to lead, creating a secret network, an information exchange taking place on space ships among contactees, which the establishment is powerless to stop. Enter the nuclear power plant issue, which is a legitimate concern even among those in the establishment. As the pace of the Earth changes has picked up, our answers have moved from being vague in 2008, stressing that this is in the hands of man, to hinting by 2010 that the collective Call from many in the Service-to-Other would make a difference and that alien interference would be allowed, to admitting after Fukushima in 2011 that some interference had occurred. Has the degree of concern from Service-to-Other souls on Earth, giving a collective Call on this matter, made a difference? Unquestionably. From the start of ZetaTalk we have stressed that matters such as a healing only take place as a result of a Service-to-Other call. Those who Call for themselves, out of self interest, are ignored. The collective Call out of concern for others, made by those in the Service-to-Other on Earth, have and will make a difference on the nuclear power plant issue. Emergency crews at the Y-12 National Security Complex in Oak Ridge responded to an emergency at the plant Thursday morning. On-site monitoring found no detectable levels of the chemical outside of the enclosure and systems in place were working properly to reduce the chemical levels within the enclosure. Residents in Maryville started calling 911 to report they heard a series of ‘booms’ throughout the day Thursday. The USGS reported that no earthquakes had shown up on their sensors. More and more people called all afternoon saying they were hearing loud boom sounds. Then last night – it was confirmed they were indeed earthquakes. Three quakes over the span of seven hours. The first was a 2.4 magnitude quake recorded at 12:09 p.m. a little more than a mile west-southwest of Maryville, according to the United States Geological Survey. Two smaller tremors, each measuring 1.4 magnitude, followed at 4 p.m. and 6:45 p.m. This is following a series of quakes over the past several months shaking the region. East Tennessean’s are wondering why so many quakes. Scientists are wondering the same thing. Last week a group of scientists deployed more seismic sensors in Alabama and Florida to find out if those quakes are caused by fracking for oil in the area. Experts say as far as earthquakes go, East Tennessee is on shaky ground. The region experiences more seismic activity than just about anywhere else in the eastern United States, though a December 4.4 magnitude quake near Decatur was unusually intense for the area. For other uses, see Y-12 (disambiguation). Y-12 Plant, in Oak Ridge TN. 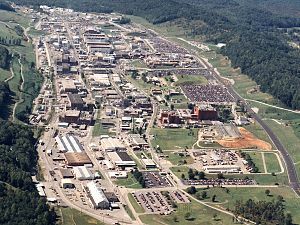 The Y-12 National Security Complex is a United States Department of Energy National Nuclear Security Administration facility located in Oak Ridge, Tennessee, near the Oak Ridge National Laboratory. It was built as part of the Manhattan Project for the purpose of enriching uranium for the first atomic bombs. It is considered the birthplace of the atomic bomb. In the years after World War II, it has been operated as a manufacturing facility for nuclear weapons components and related defense purposes. Jeff Tittel, director of the New Jersey Sierra Club, said PSEG should invest in more environmentally friendly cooling towers at its Salem Unit 1 and 2 reactors to avoid such shutdowns. Cooling towers create a “closed-loop system” in which water is drawn from a river, circulated through the plant and sent to a tower to lower its temperature before being reused. TOKYO (Jiji Press) — An alarm indicating a radioactive leak went off at a nuclear fuel facility in Tokai, Ibaraki Prefecture, on Wednesday afternoon, but no one was exposed to radiation in the incident, the Japan Atomic Energy Agency said. No radioactive materials leaked outside of the premises of the JAEA’s Nuclear Fuel Cycle Engineering Laboratories in the village, the government-affiliated institute added. The alarm went off at a plutonium fuel development laboratory in a radiation-controlled area at the facility around 2:25 p.m. Wednesday, according to the JAEA. Last month, rain leaked through the roof of a Savannah River Site nuclear processing facility, picked up radioactive contamination and then showed up in a so-called "clean area" on the facility's first floor, according to a final incident report filed Wednesday. The leak and contamination was found Dec. 2, 2018, at H-Canyon, the nation's last up-and-running hardened nuclear chemical separations plant. The contaminated water was removed from the clean area, a warning was posted and additional inspections of the facility were done, according to the incident report. No other contamination was discovered, according to the same information. The rain made its way into H-Canyon through an "expansion joint" where previous leaks had been observed, according to the incident report. Joints between sections of the building run vertically from the roof to the first floor, according to the report. "Over time, some of these joints have failed and rainwater migrates into the facility," the report reads. A plan has been developed to repair the H-Canyon roof, according to the incident report. H-Canyon – now operated by Savannah River Nuclear Solutions, the SRS management and operations contractor – was constructed around 1950 and began operations in 1955. The Defense Nuclear Facilities Safety Board, an independent nuclear-safety watchdog, was notified of the leak and contamination on Dec. 3, 2018. Inquiries made to the U.S. Department of Energy were not immediately returned. The incident report is available here. AUBURN, Neb. According to a news release from Nebraska Public Power District's Corporate Media and Media Services Supervisor Mark Becker, a "notification of an unusual event" was declared at Nebraska Public Power District's Cooper Nuclear Station at 9:04 a.m. Saturday. Nebraska Public Power District's safety and plant personnel detected a fire within a pipe chase. The station's fire brigade extinguished the fire at 9:51 a.m.
"As of 3:44 p.m. today, Nebraska Public Power District (NPPD) exited the emergency classification level called a “notification of an unusual event” (NOUE) at its Cooper Nuclear Station. NPPD initially declared the NOUE at 9:04 a.m. today after discovering a hazardous gas environment in the basement of the plant. While investigating the gas, safety and plant personnel detected a fire within a pipe chase. emergency response organization were brought in to assess damage caused by the fire, provide engineering support, and maintain a fire watch in the area until there was no longer any potential for a fire to restart. The fire was declared out as of 3 p.m., after completion of overhaul activities and assurance that a re-flash would not occur. and continues to operate at this time. A NOUE is defined as unusual events, minor in nature, which have occurred or are in progress which indicate a potential degradation in the level of station safety at the station. If placed on a scale of 1 to 4, with 1 being the least serious level of an emergency and 4 being the most serious level of an emergency, a NOUE would equal a 1. In situations like this, plant personnel follow an emergency response plan and notify appropriate local, county, state, and federal agencies as part of their processes. Cooper Nuclear Station is located three miles southeast of Brownville near the Missouri River. It is owned and operated by the Nebraska Public Power District, with headquarters in Columbus. More information will be provided as it becomes available." The reactor at the Doel 4 nuclear power plant in the village of Doel, part of the commune of of Beveren in East Flanders, was turned off under controlled conditions on Friday, operator Engie Electrabel said. The switch-off came less than a week after Doel 4 was turned back on again. The reason given was a blocked filter which crippled a pump in a non-nuclear section of the power station. The company is carrying out an investigation into how the incident took place, a spokesperson said. The station has been out of commission throughout the summer, after damage was found in the concrete forming the roof of the bunker building of the reactor. According to Engie, the latest stoppage should last no more than 48 hours, and the reactor turned back on by Sunday. As far as network manager Elia is concerned, the incident will have no effect on energy supplies in the short term. However the 1,000 megawatt output of Doel 4 is of crucial importance at the time of peak energy demand, in January and February, just to keep the lights on across the country. Part of the Diablo Canyon nuclear power plant shut down Saturday due to an “electrical disturbance,” PG&E said in a news release. The shutdown happened Saturday morning in Unit 2, officials said. As of Sunday morning, Unit 2 remained shut down as PG&E officials worked to determine the cause of the disturbance, Suzanne Hosn, a PG&E spokeswoman, told The Tribune in a phone interview. “This is on the non-nuclear side of the plant,” Hosn said. She emphasized that the shutdown poses no risk to the community or to employees. The unit is “in a safe condition” and will be back in service after the cause is determined and equipment is tested, PG&E said. PG&E said it has informed the U.S. Nuclear Regulatory Commission and state and local officials of the incident. Three people have been injured following an incident at a nuclear power station in Lancashire. 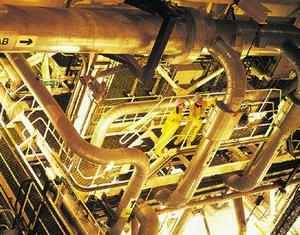 Emergency services were called to Heysham 1 power station at 10.30pm on 19 November after reports of an accidental steam release. The incident was described as non-nuclear but three members of staff were rushed to two nearby hospitals for treatment. One of the workers was taken to a hospital in Wythenshawe while the others were taken to Preston. They are believed to have suffered broken bones and burns, according to the BBC. “It goes without saying that everyone’s thoughts are with our three colleagues who have been injured, we will be doing everything we can to support them and their families while they recover,” the spokesperson said. “There was no risk to the public during the incident which is now under control. “A full investigation into the cause will be carried out. The Office for Nuclear Regulation (ONR) said it has launched an investigation into the incident. A spokesperson said: “The Office for Nuclear Regulation, as the independent safety regulator, will investigate the incident. Separately, in line with standard procedures, EDF has also launched its own investigation. COLUMBIA, S.C. (AP) — Federal regulators say tests shows uranium levels exceeding safe drinking water standards have been found at two locations at a nuclear fuel plant that has leaked in South Carolina. The State newspaper reported the Nuclear Regulatory Commission and plant operator Westinghouse told a community meeting Thursday night in Columbia that the pollution came from leaks in 2008 and 2011 from a contaminated wastewater line. The NRC said the uranium-contaminated water is in the middle of the huge fuel plant south of Columbia and has not reached the property boundary. Westinghouse is working on a plan to clean the pollution and prevent the spread of the uranium-tainted groundwater. Both of the approximately 1.7-ounce containers were "unstable due to heat exposure and the presence of etching on the vessel exterior," an incident report said. "This condition posed an imminent and substantial endangerment to human health and the environment," the report reads. The cause of the explosion is under review. The blast detonated some time before 11:30 a.m., in Technical Area 35, Building 85. The area flanks Pecos Road on the southeast side of Los Alamos. "It's a very highly populated part of the lab," said Greg Mello, director of the Albuquerque-based Los Alamos Study Group, a watchdog agency that tracks safety issues at the laboratory. By midday, John Kieling, chief of state's Hazardous Waste Bureau, had authorized detonation of the unstable chemicals in a contained vessel. Destruction of the chemicals went off without a hitch at 1:15 p.m., according to the report. Mello said developing stronger explosives has been a LANL aim for decades. This is the latest in a series of safety mishaps at the labs. In May, a crew of pipe fitters underwent decontamination after radioactive materials were discovered on a worker's hands, on the crew's protective clothing and in the work area. In March, all work with special nuclear materials was put on hold at the lab's plutonium facility following violations of two safety mandates meant to prevent a nuclear chain reaction. According to the follow-up report detailing the Sept. 14 incident, the pair of unstable containers were discovered during an assessment of the chemical hood (a kind of secure, vented workspace) in which the explosion took place. The lab spokesman declined to say whether the vessels were actually in the hood at the time of the explosion, but Richard Holder, a retired UNM organic chemistry professor who specializes in chemical syntheses and reactions, said it's not uncommon for chemists to keep other compounds in their workspace. It's not best practices to do so, he said. "I don't condone it, but it's common, and I've done it myself," Holder said. Having other compounds in the space poses hazards in the event or a fire, during which intense heat could set off additional chemical reactions. Duke Energy's Brunswick nuclear plant in North Carolina declared a low-level state of emergency on Monday due to floodwaters caused by Hurricane Florence, but regulatory officials said public safety was never at risk. Brunswick declared an "unusual event," the lowest-level of emergency notice, when high water blocked access to the nuclear plant, a spokesperson from the Nuclear Regulatory Commission (NRC) said. The plant was shut down ahead of the storm and remains stable. NRC rules require a utility to declare an unusual event when access to a nuclear facility is impeded, and Duke cannot restart the plant until access to the facility is regained. Nearly 327,000 people remain without power in North Carolina due to the hurricane, according to PowerOutage.US. Brunswick's low-level emergency declaration on Monday is a reminder of the risks of siting nuclear generation close to ocean coasts. In 2011, three reactors at Tokyo Electric Power's Fukushimia Daiichi nuclear plant melted down after an earthquake and ensuing tsunami, killing one person and releasing radioactive material into the air and water around the plant. The Fukushima disaster prompted reforms of nuclear safety codes around the world, and NRC officials said the emergency event declared by the Brunswick plant on Monday is a far cry from that event. "Both of the units [at Brunswick] safely shut down well in advance of the storm," NRC spokesperson Joey Langford told Utility Dive. "They remain safely shut down. No plant equipment or safety equipment was damaged in the storm or since." Brunswick remained in "hot shutdown" mode during the event, Langford said, and still had grid power to cool the reactors. The facility has backup generators in the event that grid power is lost. With access to Brunswick blocked by floodwaters, essential plant employees slept on cots at the facility and received supplies from Duke by helicopter, the News and Observer reported. Record-breaking rains also caused a coal ash spill at Duke's Sutton power plant in North Carolina over the weekend, releasing enough of the harmful waste product to fill two-thirds of an Olympic sized swimming pool, according to the utility. The Environmental Protection Agency told reporters Monday they were investigating a second ash release at the Sutton plant, which Duke said was part of the first spill. EPA referred questions about the event to Duke, and late Monday a spokesperson for the utility said it and the agency "have connected and all agree there was one event at Sutton." "The releases of water and ash from the Sutton landfill have stopped, and repairs are already underway," Duke spokesperson Paige Sheehan said via email. "The public and environment remain well protected." Over the weekend, Duke said weather conditions made it difficult to ascertain whether coal ash from the Sutton plant had entered an adjacent cooling pond at the facility or the nearby Cape Fear River. Inspections on Sunday revealed that ash itself had not entered the waterways, the utility said, but rainwater that came into contact with the waste product did, and some ash leaked into a nearby industrial facility. "This 1,100-acre cooling pond was constructed by Duke Energy to receive treated water from plant operations, including water from coal ash basins when they were operating," Sheehan wrote. "At that time the lake would further process that wastewater — it is performing the same function today with this release." Duke says coal ash is not hazardous, a label based on the EPA's decision in 2014 to classify the substance as "solid waste," rather than "hazardous waste" under federal disposal laws. It does, however, contain heavy metals and other substances known to cause health problems in humans, such as mercury and lead. In addition to monitoring ash spills and its nuclear plants, Duke is also working to restore the millions of customers who lost power as part of the Category 1 hurricane. Utilities in the region have already restored power to 1.4 million customers affected by the storm, the Edison Electric Institute said Tuesday morning, but some of the toughest work remains in areas that are "inaccessible and that experienced massive flooding and structural damage."